Inspired by this famous quote by Frederick Douglas, the Samoa Returnees Trust under their ‘Reality Check’ project hosted a programme which aims to help young people on probation. The programme which was launched in 2014 is kindly sponsored the New Zealand High Commission. On Wednesday, 14 probationers ranging from the age group of 16-24 years old participated in the programme and had the opportunity to listen to some of the returnees about their experiences. 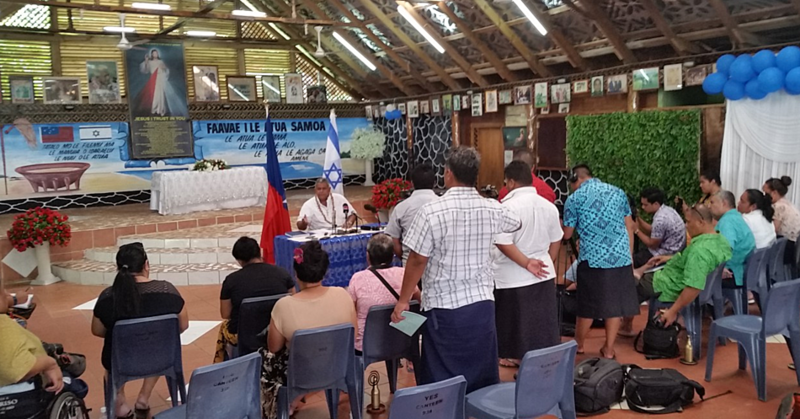 “The overall goal of the programme is designed as a deterrence and wake up call for these juvenile delinquents, if you will,” the Director of Samoa Returnees Trust, Magele Vernon Mackenzie told Samoa Observer. 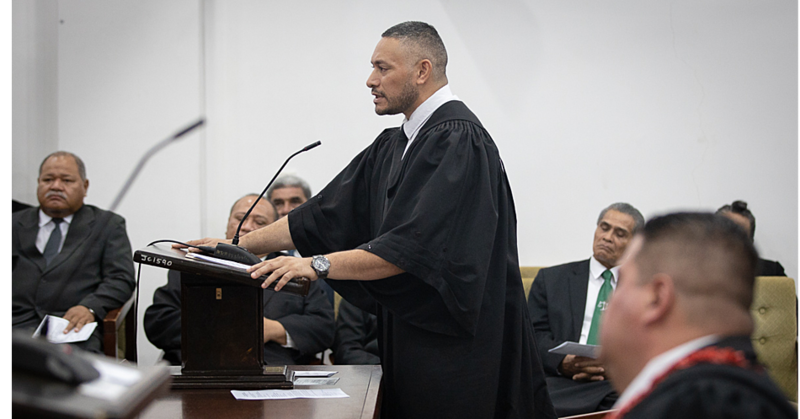 “This morning all the Probationers and their parents signed consent forms and were keen to participate in the program to further discourage these young men (16 yrs - 24 yrs) from making the wrong choices and end up being convicted and sentenced to prison. “A Probation Officer was assigned to the group and we started with a mock processing of a new prisoner from the courthouse, and then transport them to Police Holding cells where they were inducted by the Officer in Charge. Magele went on to say that the programme has been successful. “The reason why we are successful is because the probationers get to see the difference between the movies and the things they see on social media and how it feels like to be in the real situation and realize that it is not a nice place to be. A place where some people say it’s the worst place on earth. The probationers also had the opportunity to listen to a mentoring session by one of the members, Papali’itele Siva Afi, who is the Returnee Advisor. 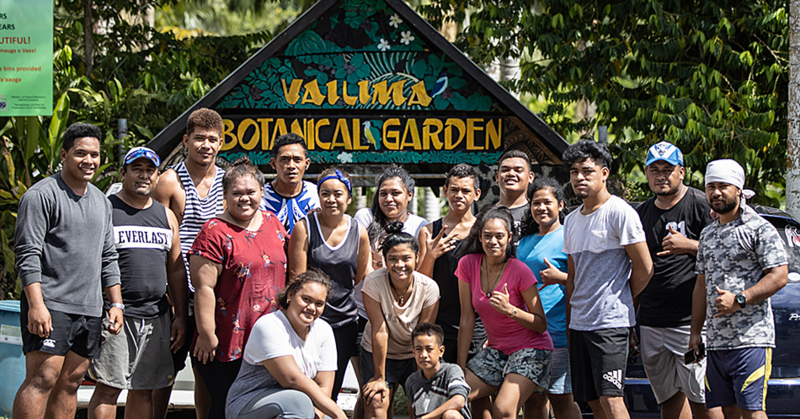 “This exercise and tour serves as a vehicle for the Trust to liaise with the relevant ministries and mentor these 'at risk youth' who need to experience firsthand this environment and the consequences of their actions and prevent them from heading down the wrong path in life. “This is an opportunity for our members to share their experiences with these youths and help them get back on track. Our members have been there, done that. They walked in their shoes; they were them more than 10-20 years ago. 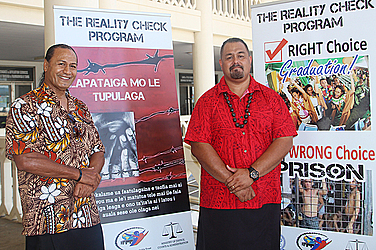 Finally, Magele wants to acknowledge their ongoing partnership they have with the Community Probation at the Ministry of Justice and Court Administration as well as the Samoa Police and Samoa Corrections.